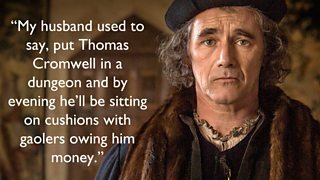 The series is nearly ending and we have loved Wolf Hall for many things – not least the entertaining script with its insults that just seem to carry over the centuries. 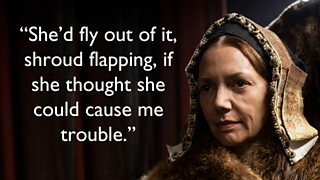 Some quips were just too rude for the BBC website, so these are the ones we a) laughed at and b) can publish. Sophie Maden is a researcher on the BBC TV blog. 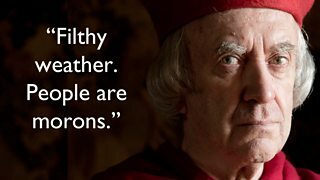 Wolf Hall concludes on Wednesday 25 February at 9pm on BBC Two and BBC Two HD. 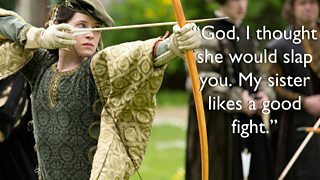 Each episode will be available in BBC iPlayer for 30 days after broadcast. 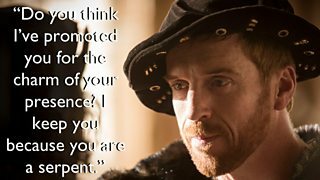 Wolf Hall: The Inside Story is on after the finale at 10pm on BBC Four and BBC Four HD. Five things to watch: Is the next Monet among us?